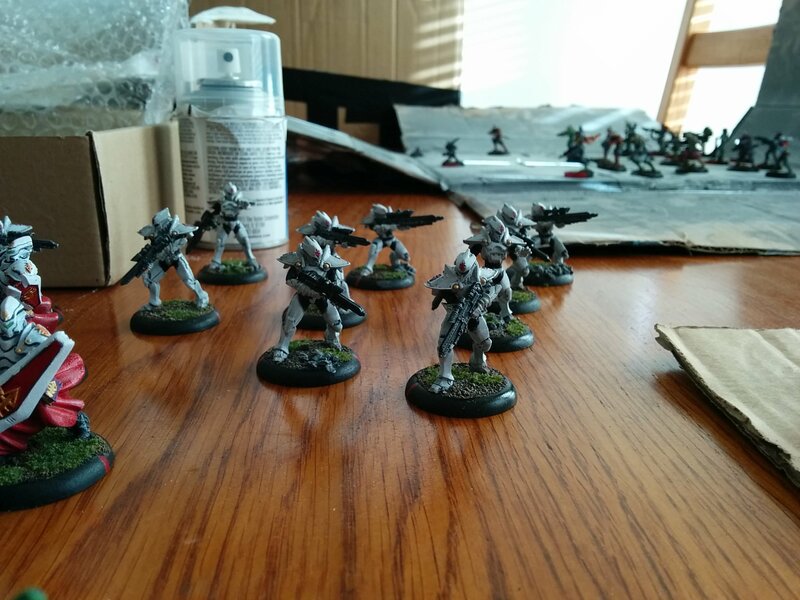 Prodos Games LTD Forum • View topic - Next Army: Brotherhood! Post subject: Next Army: Brotherhood! 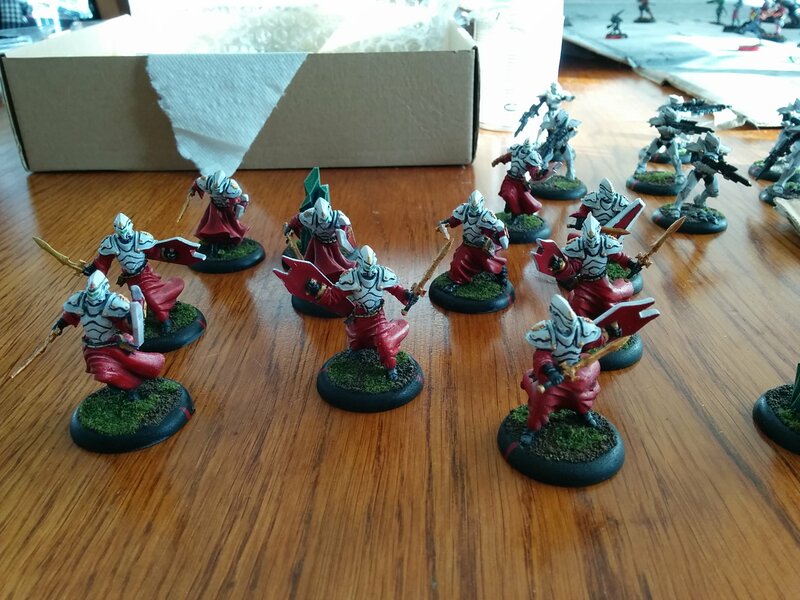 My Capitol army is mostly finished so I started working on a brotherhood army! 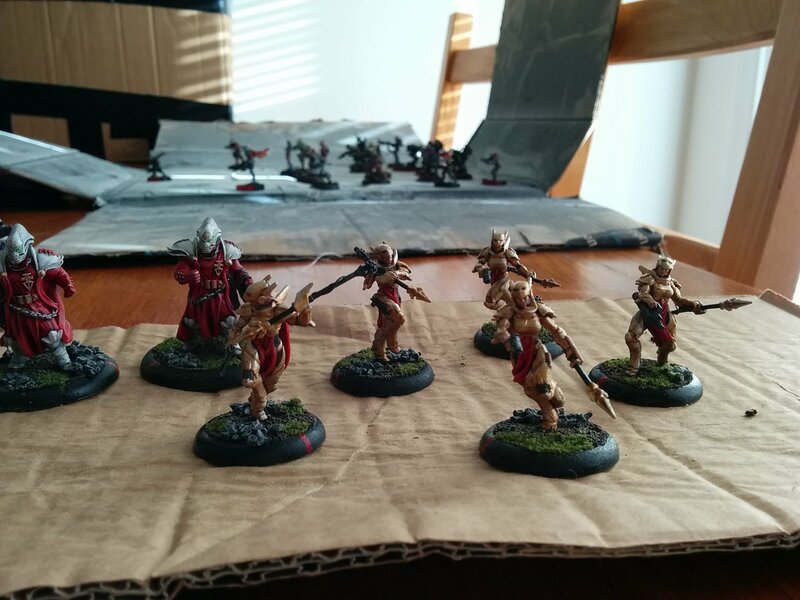 There's still lots to go but I finally got my first few troops painted up! They're not as clean as I'd have liked. I tried a lot of new stuff that I've never done before, so a lot of the white came out kinda sloppy. Hoping to improve as I get more practice in! Post subject: Re: Next Army: Brotherhood! I love that White and red color scheme. They look like an army from a japanese anime. The troopers and warriors look great!